To make the frame: bind the twigs together with thread or yarn. Then use drawing pins/pushpins to help the contact paper stay in place. Autumn gives us so many natural materials to use in art, and the Sticky Picture frames can display your pictures in the window, letting your designs catch the sunlight. Fill your year with hands-on, creative learning inspired by nature. 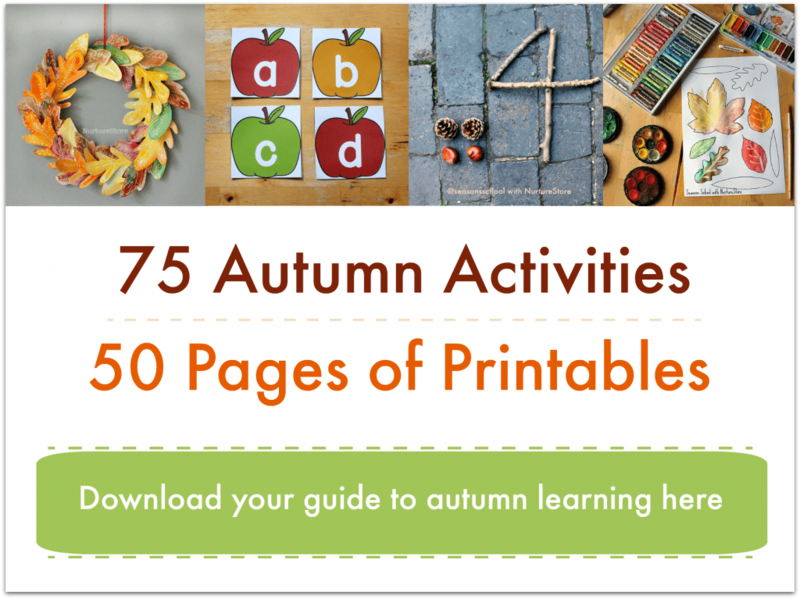 Click through to see our Garden Classroom resource and get your free Garden Journal. The leaf art looks fantastic in your sticky picture frame! I do like that picture frame, so interesting looking at all the patterns and colours. Thank you so much for the inspiration we have only just finished a sticky picture and this is a much better way to finish it off with the lovely frame! 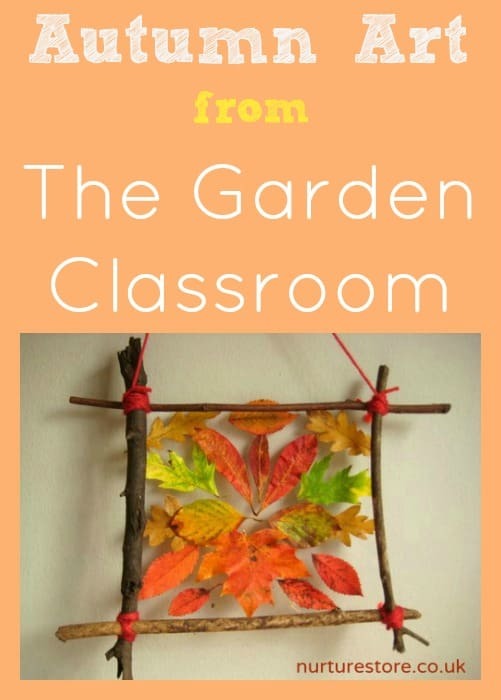 I love your blog and my kids and I are enjoying your garden classroom ideas. I was wondering if the sticky paper that you are using is the same as contact paper/shelf paper? I am writing from the USA where all of our shelf paper is PVC which is something I try not to purchase or have in the house for environmental and health reasons. Do you know of another type of clear sticky film for these crafts? Thanks! I have this same question. Did you ever receive a response about the paper used. I am also from the USA. Thanks. Hi Marcie, I’m in the UK and we call this kind of paper sticky-backed plastic, which I think is usually called contact paper in the US. Hi Alisha – so sorry to be so slow to reply, I missed your question. I’m in the UK and we call this kind of paper sticky-backed plastic, which I think is usually called contact paper in the US. This is so pretty! I love how it looks like the leaves a floating in the frame! I love this, I’m going to put one together this weekend and share it at my Education Meeting. Thanks. Oh, Cathy! This project is just gorgeous! Love the way you’ve finished it off perfectly with a twig frame! 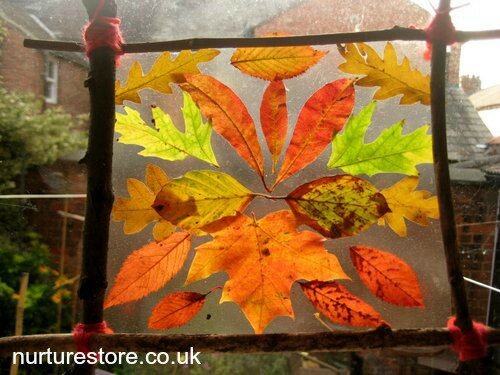 How about laminating the leaves ans still framing with twigs etc? Include some ICY skills too. Yes, that would great Sandy. Tell me about it Sandy! You should see all my typos! Love this! Just wondering if you have a link to a tutorial on how to make these? Many thanks. where can i find steps for making the frame? These are BEAUTIFUL! What a great idea; I really want to make some with my kids. Are there instructions anywhere for how to assemble the sticky picture frame? I love this project. Yours turned out beautifully! Can you tell me how you attached the frame to the sticky paper? My sticky paper alone is not enough to hold it to the sticks. Hello everyone! I’m in the process of updating this article with full details, but just to say: bind the twigs together with thread or yarn. Then use drawing pins/pushpins to help the contact paper stay in place. What will the pins push into? Love this project, doing it Friday with my class and many helpers … I’m worried about how to make the paper stick. I’m not sure what the pins are for? Any help would be wonderful! The frames are gorgeous!! Hi Amye. You use the pins to help the contact paper stay in place. Push them through the paper and into the twigs. Fab idea, thank you. We did this today for my daighter’s Autumn picture homework. We made the picture in the sticky back plastic separately to the frame then punched holes in the corners and used more wool to attach it to the corners. It worked really well. Thanks for the great idea ?